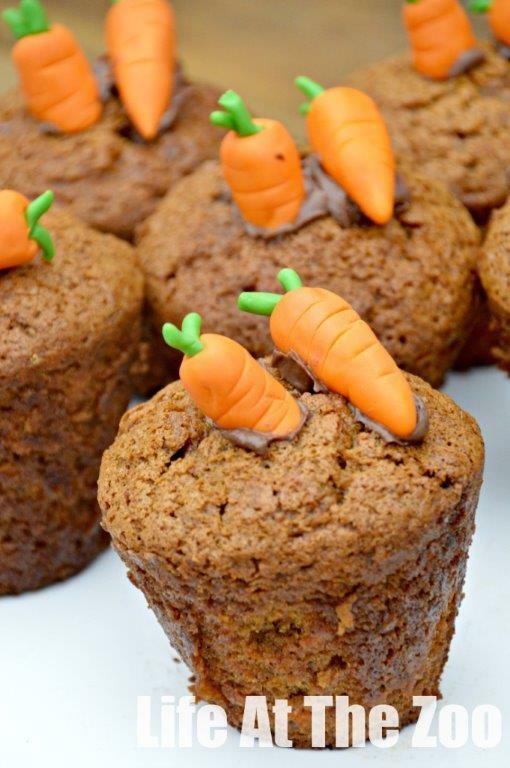 If like us you like cake.. but you also like to have a little bit of crafty fun in the kitchen, then these little carrot cakes may just be up your street! It is so easy to decorate your favourite carrot cake recipe and make them that little bit more special. We share easy carrot cake/ carrot cupcake recipe here today, but of course you can use your own family carrot cake recipe if you wish! We went to a Hobbycraft Spring show and were inspired to make these cute little Carrot sitting in a “pot of earth”. Adorable. I loved their plant pot silicon moulds. We only share the carrote cake recipe here.. to see how to make the mini carrot decorations click here. If you are looking for some spring decorations you may love these 3d Paper Flowers too! First shared in March 2014 and updated and republished just for you. Makes 12 “ordinary” cupcakes or 7-8 “large” cupcakes. We used: Orange Ready Roll Icing & Green Ready Roll Icing (affiliate) which was SUPER EASY to use, as it was soft and moldable without being too sticky. Love it. 1) Those of you who know me, know that I am a lazy baker….. I literally put everything into my bowl and mix. Yep. That easy. It helps that I have a Kitchen aid I know! 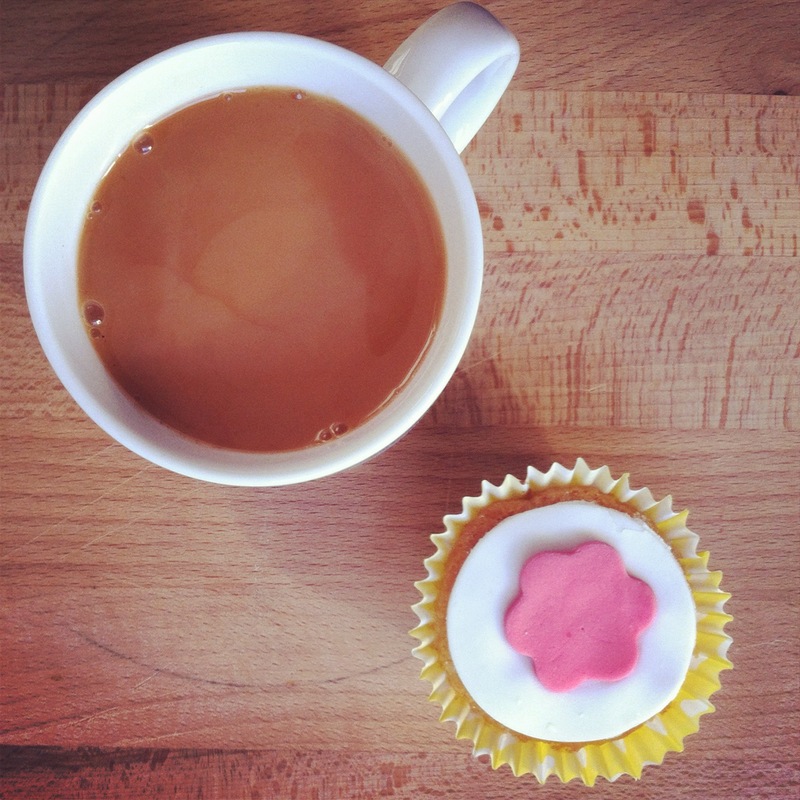 2) Spoon into your silicon moulds – we used deep set ones, so that the cupcake looks a bit like a “plant pot” or earth mould! This is a sticky mixture, so silicon is great OR you can use cupcake cases, OR you have to grease your pan well. Hobbycraft has some ADORABLE “plant pot” silicon moulds to bake your cake in AND leave it in to serve (no fiddly getting it out). 3) Bake for approx 25min – do a prick test to see if the dough is cooked. 4) Let cool fully before carefully removing from the tray. 5) Then pop your marzipan or ready roll icing carrots on top (see here for a marzipan carrot “how to”). And featured on Fun, Crafts, Kids! Yay! !